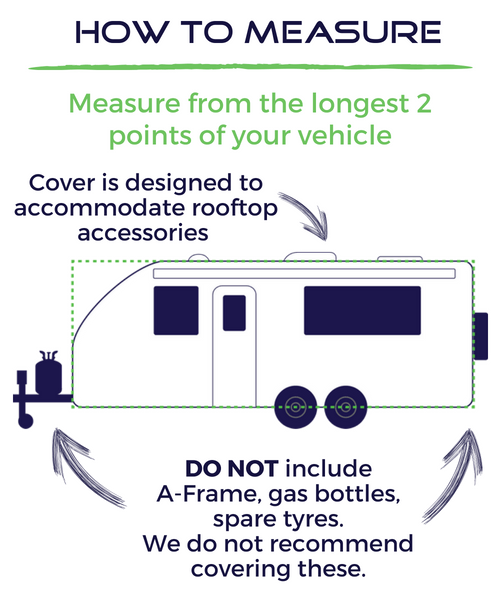 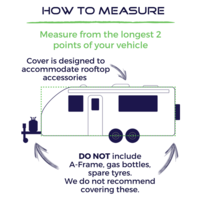 Pair your caravan with a high quality cover from ADCO’s premium collection, and protect your investment for years to come. 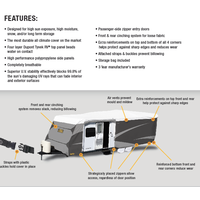 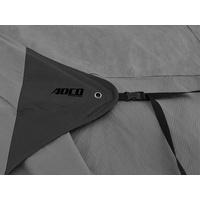 This ADCO caravan cover is suitable for caravans measuring between 22 and 24 feet in length, with well-located straps and buckles, and front and rear cinching systems guaranteeing a snug fit for most common makes and models within the size range. 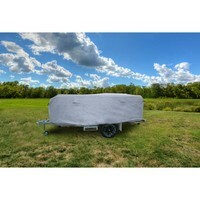 This ultra-durable cover features a 4-layered Dupont Tyvek top that also extends over the front and back. 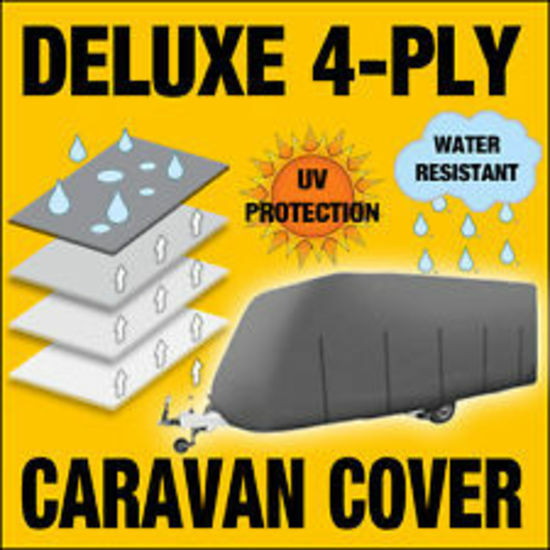 This innovative material beads any water that comes into contact with it, while simultaneously providing protection from 99.8% of harmful UV rays that would otherwise cause your caravans paint and furnishings to fade. 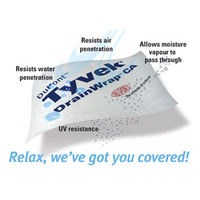 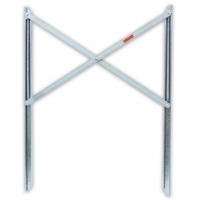 The Tyvek panel is complemented by layered breathable polypropylene sides. 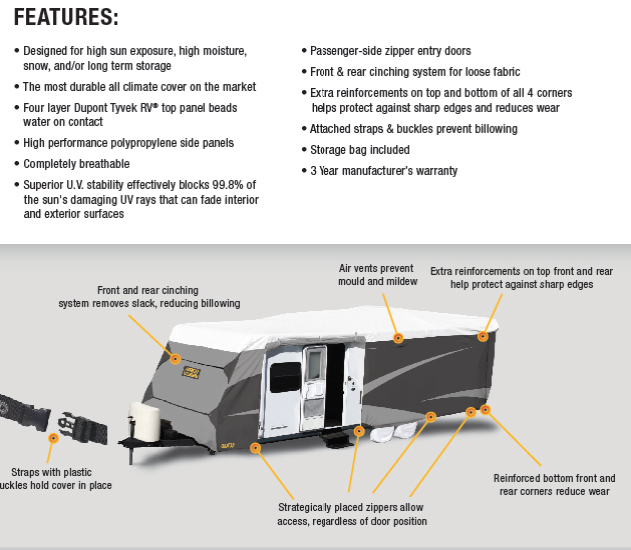 These side panels also feature zippered doors that allow you to retain use of your caravan’s access door during storage. 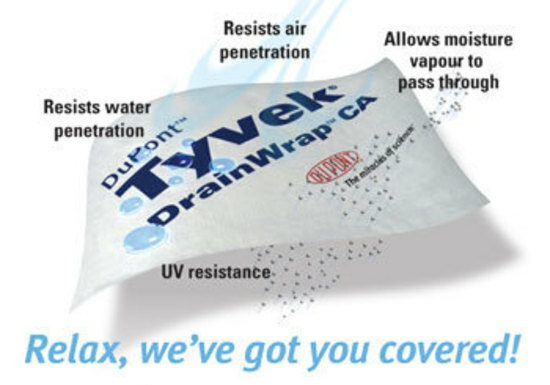 Strategically located air vents prevent the development of mould or mildew during a lengthy storage period. 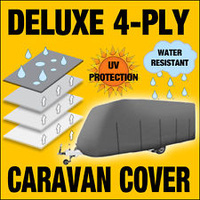 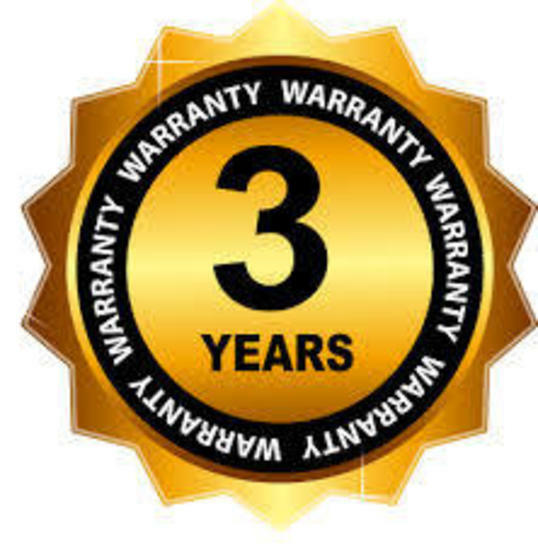 Covered by a 3 year warranty, this ADCO caravan cover makes for a worthwhile purchase at a very affordable price. 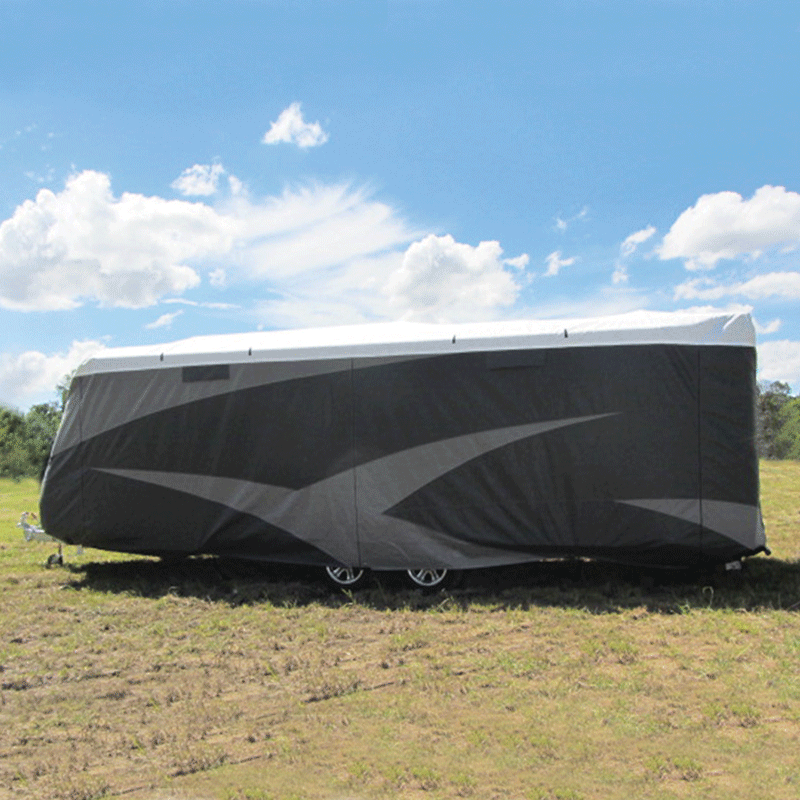 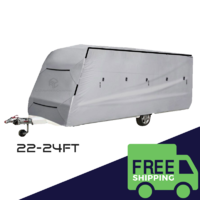 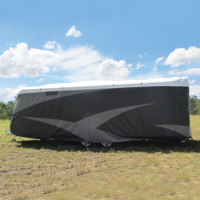 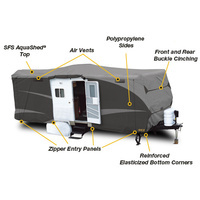 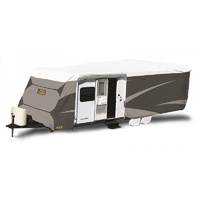 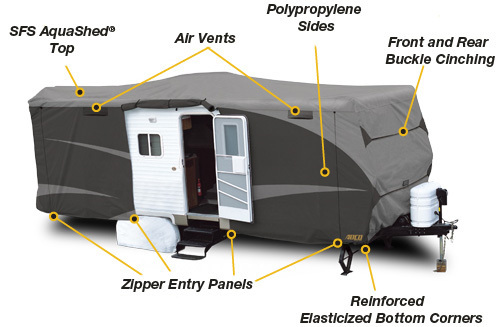 I recently purchased a 22-24' caravan cover for my Regent Monarch caravan. 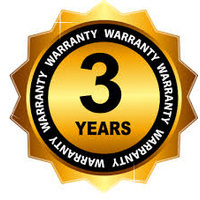 It was replacing a cover I had purchased from another seller. 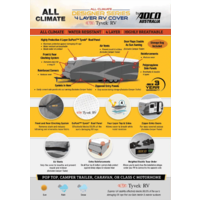 The ADCO cover fitted perfectly, looks great and allows us to enter the van easily through the area that can be rolled up. 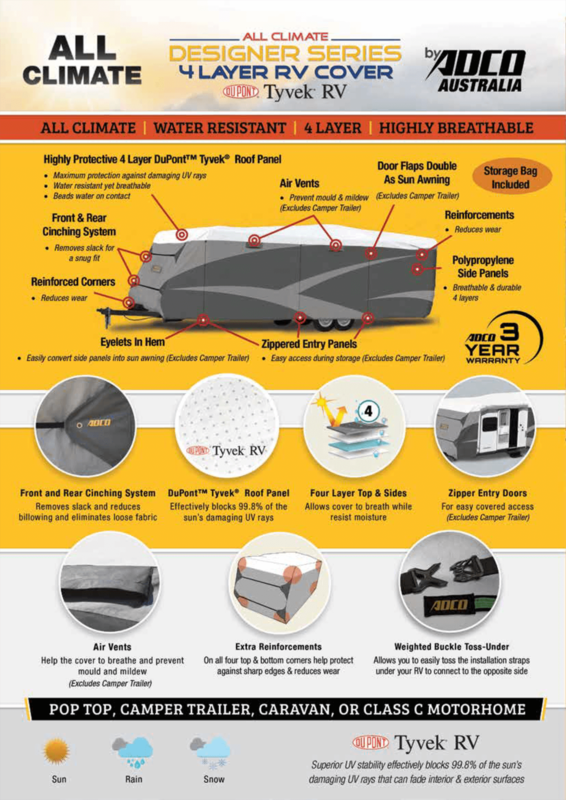 More than happy with the product. 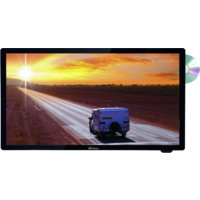 Great product, good quality cover, looks great. 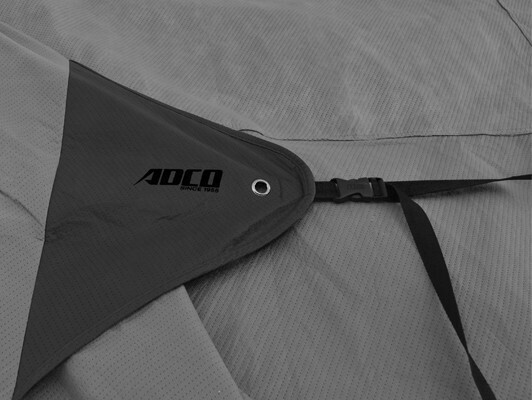 Adco covers are by far the best. 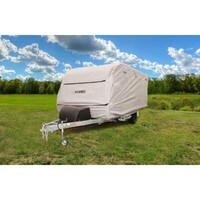 This is my second ADCO caravan cover and is replacing one that lasted over 3 years in Queensland sun.